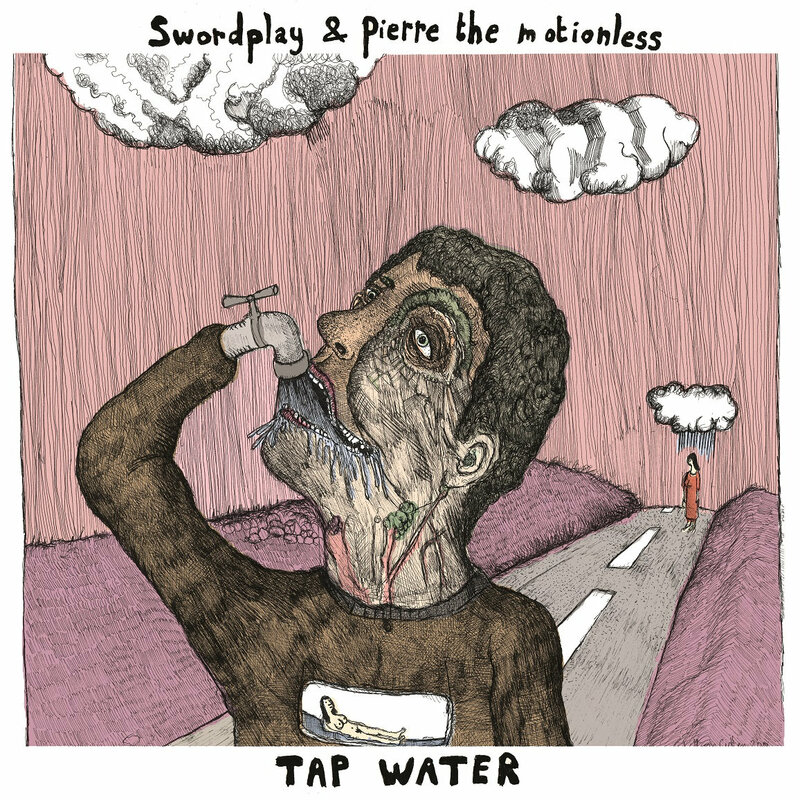 In a parallel universe where Anticon rappers from the turn of the century became the hallmark for following generations of Hip-Hop, Swordplay & Pierre the Motionless’ Tap Water would have already gone gold, perhaps even platinum. Unfortunately, that tangent was never realized and we live in a world where guns, drugs, women, and fashion remain the focal point for Rap lyrics. Not all is lost, however, especially after this release by the dynamic international duo—Swordplay from Richmond, Virginia and Pierre the Motionless from France. The two, who’ve been working together since 2007, provide music for the eclectic listener that is both moving and thought provoking, which should come as no surprise considering track titles such as “No T.S. Elliot” which makes references to said poet’s famous work “The Love Song of J. Alfred Prufrock.” Pierre the Motionless’ beats, which are full-bodied and multi-layered, provide the perfect foundation for Swordplay’s high-brow raps. Tap Water is not for the light-of-heart—check out the album below or purchase it for 5€ via their Bandcamp page. Thank you very much for such a nice review ! Great album—keep me in the loop for future projects.